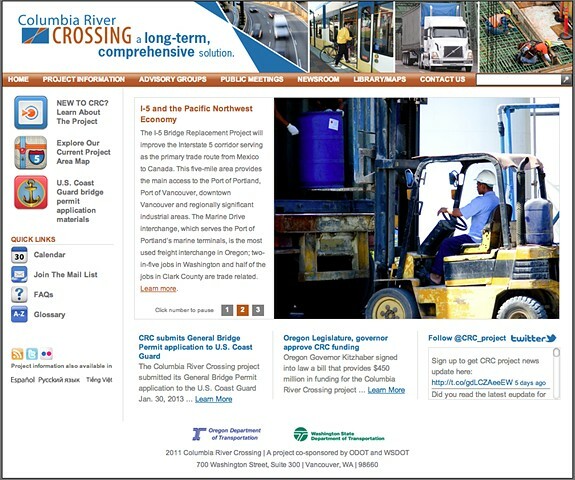 An extensive redesign of the Columbia River Crossing project website. With this redesign I updated a very dated government website to be friendlier to the average citizen. The navigation and content organization also got a major overhaul. Analytic reports shows bounce rates were lowered by 25% and that new visitors were following the path of information that we thoughtfully laid out for them.